Mihai G, Mirancea I, Birsan M-V, Dumitrescu A (2018). Patterns of genetic variation in bud flushing of Abies alba populations. iForest 11: 284-290. In the spring of 2007, 51 full-sib and six half-sib families of European silver fir were obtained through controlled and open pollinations from the same clones in a seed orchard. Genetic variation and parameters for bud flushing were determined in two progeny tests established in a nursery. The results indicate a high genetic control of bud flushing of European silver fir. Both the additive and the dominance genetic variances were major sources of genetic variation. The additive genetic variance was greater for open-pollinated than for full-sib progeny, representing 50-95% of phenotypic variance. Narrow-sense individual heritability estimates for control-pollinated progenies ranged from 0.14 to 0.64, while the full-sib family heritability ranged from 0.09 to 0.40. In the open-pollinated progenies, the values of individual and family heritability were higher than those in control-pollinated progeny and ranged from 0.50 to 0.95 for both. In both experiments, genetic parameters were higher for bud flushing at the beginning of the growing period than at later stages. The genetic correlations between bud phenology and growth traits were positive and significant in control-pollinated progeny but not significant in open-pollinated progeny. Positive significant correlations between control-pollinated and open-pollinated progeny showed a maternal effect. Bud flushing was negatively correlated with geographic and climatic parameters of the site of parents’ origin, accounting for 83-97% of the total variation of this adaptive trait. Spring cold hardiness under strong genetic control in Oregon populations of Pseudotsuga menziesii var. menziesii. Canadian Journal of Forest Research 27: 1773-1780. Longitudinal differences in Scots pine frost hardiness. Silvae Genetica 53 (2): 76-80. Temperature regulation of bud-burst phenology within and among years in a young Douglas fir (Pseudotsuga menziesii) plantation in western Washington, USA. Tree Physiology 26 (4): 421-430. Trends in monthly natural streamflow in Romania and linkages to atmospheric circulation in the North Atlantic. Water Resources Management 29 (9): 3305-3313. Variability of beech provenances in spring and autumn phenology. Silvae Genetica 51 (2-3): 123-127. Bud flush phenology and nursery carryover effect of paper birch provenances. iForest 8: 809-817. Techniques for research in quantitative animal genetics. Techniques and Procedures in Animal Science Research, American Society of Animal Science, New York, NY, USA, pp. 36-79. Reference protocols for assessment of trait and reference genotypes to be used as standards in international research projects. Ed. CRA SEL, Arezzo, Italy, pp. 82. ROCADA: a gridded daily climatic dataset over Romania (1961-2013) for nine meteorological variables. Natural Hazards 78 (2): 1045-1063. Recent climatic changes in Romania from observational data (1961-2013). Theoretical and Applied Climatology 122 (1-2): 111-119. Genetic variation of spring frost damage in 3-year-old Fraser fir Christmas tree plantations. HortScience 41 (7): 1531-1536. Inheritance of bud-set and bud-flushing in Picea abies (L.) Karst. Theoretical and Applied Genetics 52: 3-19. Genetic variation in 38 provenances of Sitka spruce. Silvae Genetica 26 (2-3): 67-75. Comparative study on the growth of half-sib families of selected trees of Abies alba (Mill.) and Abies borisii-regis (Mattf.) from Bulgarian and Macedonian provenances. In: Proceedings of the “11th International Silver Fir Symposium”. Poiana Brasov (Romania) 4-9 Sept 2005. ICAS, Brasov, Romania, pp. 23. Indirect prediction of bud flushing from ex situ observation in hybrid larch (Larix decidua × L. kaempferi) and their parents. Environmental and Experimental Botany 70: 121-130. A generalized treatment of the use of diallel crosses in quantitative inheritance. Heredity 10: 31-50. Concept of general and specific combining ability in relation to diallel crossing systems. Australian Journal of Biological Sciences 9: 463-493. Genetic correlations between growth and growth rhythm observed in a short-term test and performance in long-term field trials of Norway spruce. Canadian Journal of Forest Research 29: 768-778. Bud break and winter injury in exotic firs. HortScience 41: 143-148. The pattern of genetic variation in shoot growth of Pinus brutia Ten. populations sampled from the Toros Mountains in Turkey. Silvae Genetica 46 (2-3): 73-81. The geographic distribution of genetic variation of silver fir in relation to its migration history. Plant Systematics and Evolution 196: 19-30. Adaptation of the timing of bud burst of Norway spruce to temperate and boreal climates. Silvae Fennica 36 (3): 695-701. Genetic control of bud phenology in pole-sized trees and seedlings of coastal Douglas fir. Canadian Journal of Forest Research 23: 1043-1051. Genetic variation in juvenile growth and phenology in a white spruce provenance-progeny test. Silvae Genetica 42 (1): 53-60. Genetic parameters for bud flushing and growth characteristics of white spruce seedlings. Silvae Genetica 59: 4. General least squares analysis of diallel experiments. A computer program-DIALL. Genetic Dept Research Report no. 1, North Carolina State University, Raleigh, NC, USA, pp. 57. Genetic parameters of stem form traits in a 9-year-old coastal Douglas fir progeny test in Washington. Silvae Genetica 46: 2-3. Genetic variation in drought tolerance in Picea abies seedlings and its relationship to growth in controlled and field environments. Scandinavian Journal of Forest Research 18: 7-18. Patterns of variation in bud-burst timing among populations in several Pinus species. Silvae Genetica 28 (5-6): 185-193. 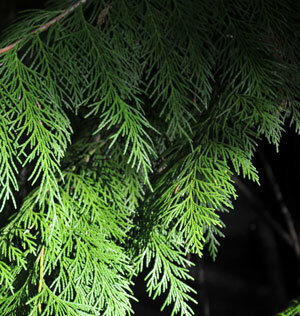 Evaluating the genetic diversity of silver fir by isozyme gene markers. In: “Tested seed sources for the main forest species in Romania” (Mihai G eds). Editura Silvica, Bucharest, Romania, pp. 178-184. Altitudinal differentiation in growth and phenology among populations of temperate-zone species growing in a common garden. Canadian Journal of Forest Research 39: 1259-1269. Variation in temperature sum requirement for flushing of beech provenances. Silvae Genetica 44 (5-6): 343-346. Temperature effects on bud burst and leaf fall in subalpine larch. Journal of Sustainable Forestry 1 (2): 1-18. Analysis of half-diallel mating design with missing crosses: theory and SAS program for testing and estimating GCA and SCA fixed effects. Silvae Genetica 49: 130-137. Time trend of genetic parameters in growth traits of Pinus taeda L. Silvae Genetica 52 (3): 114-121.